Now though we have Social Media which is full of good things, but also never knowingly misses an opportunity to sell something as totally essential to the those with more money than sense and – even more unfortunately – to those who can’t really afford this kind of thing at all. We now have “The Luxury Advent Calendar”. Lets move on for a moment from the irony that the original Nativity scene shown on Advent calendars was a scene of poverty and simplicity (Sorry to keep bringing that up – Baby Jesus and all that) but the whole thing is completely doing my head in this year. Now I think that I have mentioned that I did have a bit of a foray into the Advent Calendar market a few years ago. I bought a Yankee Candle Calendar which encouraged you to light one of its little candles every night in December. I thought it might be quite festive, which it was. However, the scent made HOH cough and he kept moaning like a Grinch about his throat closing up and also they burned for ages! In the end I was considering taking the little tea lights into the back yard and battering them with sticks and vegetation like you see people doing in bush fires. This year Advent Calendars have gone off the scale. People queued outside Liberty’s to buy theirs for £175.00. I’ll say that again £175.00. There is a Jo Malone one for £300 and even the Body Shop has them for about £100. 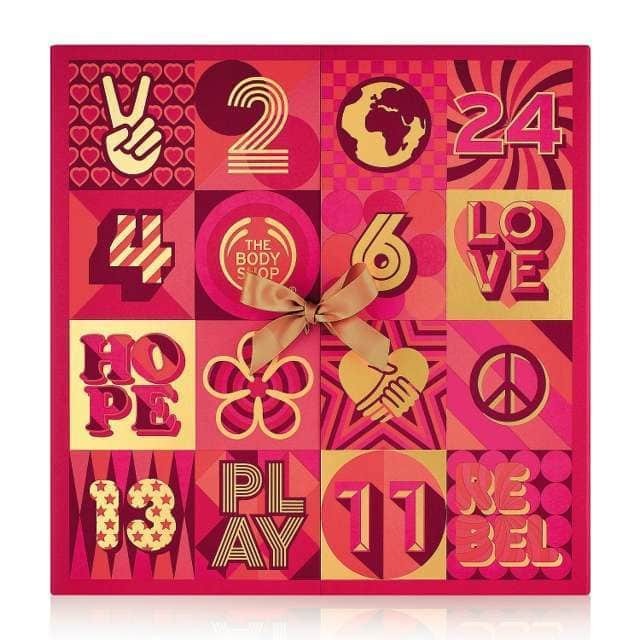 If you can think of a make-up brand – it probably has an advent calendar this year. You can get them with whisky, with Lego and with pork scratchings. (That’s sort of crisps with hair on for those who aren’t sure. I know. I know. Being British is hard sometimes) Now, if you can afford them, I don’t suppose it is such a bad thing. The stuff behind the Liberty windows adds up to approximately £500 so it is good value if you like that kind of thing. I have a couple of problems with it though. Firstly, if you can’t really afford it but all your Social Media people are waving these things at you like they are life essentials, you can get carried away. Young people are particularly vulnerable to this. Also, I kind of think that there is a time and a place. Advent is still about Christmas (just about). It’s about an event that shook the world. Even at its least spiritual it is about simplicity and love and faith. There is a certain spirit about it that Reverse Advent captures far more successfully than some You Tuber waving around a sixty quid calendar full of skincare samples that the manufacturers thought that they would never be able to get rid of and telling you that she has no idea how she ever lived without it. This is before we make people even more uncomfortable by talking about the birth of Jesus. Advent is about lots of things. For me it is about preparation and organisation. But is is also about slowing and reading and thinking and allowing myself to become full of wonder. I have to get myself together to do it and prioritise quiet but it is worth it. Sometimes I light a candle. (Not a scary one that HOH thinks is trying to kill him.) There are Advent Candles you know. You burn down a day as you count down. Just a little light. Makes you think. Makes you quiet. That is all. Take me back to the ‘old days’ when an Advent calendar was nothing more than little doors that had Christmas pictures…or sometimes, chocolates. What a mockery it all is when £300 worth of stuff is called an ‘Advent Calendar’. Have just unearthed our advent calendars from last year…. And this year I have run a bit of last Christmas’ stocking filler washi tape round plain unscented tea lights ready to set fire to one each day. V festive. V cheap. V quick to do. Win win win. You see chaps. This is the kind of thing we are after! Hurrah!